PREM’s lifelong mission is to be KL’s first superhero, Supremo. bringing laughter to The Mix Breakfast with Aishah and Rod. 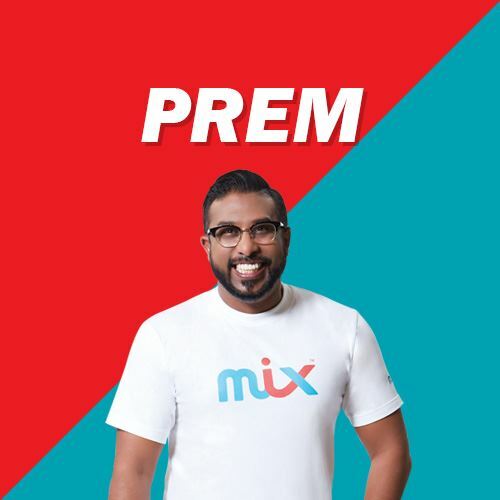 Not many would know that Prem started his career in the music and entertainment industry as a member of a hip hop crew. He had a stint with the hitz fm cruisers before entering the world of radio announcing. Most recently, his passion for acting landed him a role in a local movie.